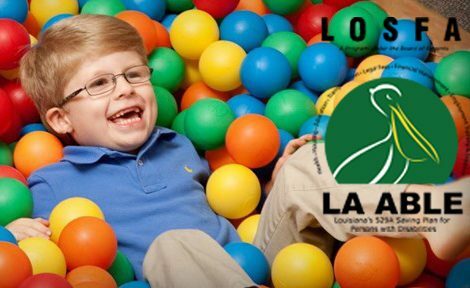 ABLE savings accounts are now available in Louisiana! 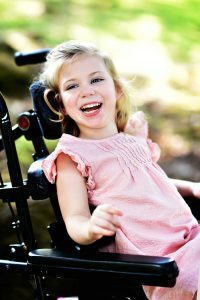 LA ABLE allows people with disabilities to save in an ABLE account without jeopardizing their eligibility for federal programs, such as Supplemental Security Income (SSI) and Medicaid. Prior to LA ABLE, people on Social Security and Medicaid could be disqualified for having more than $2,000 of resources or assets. Now individuals can save up to $100,000 in an ABLE account without a change in government benefits. An account owner can save up to $15,000 per year or with help from family and friends. As long as the balance in an account does not meet or exceed $100,000, the funds will not be not be counted as a resource for purposes of determining eligibility for SSI. In addition, if an account does meet or exceed $100,000, SSI will only be suspended; it will not be permanently canceled. Once the balance in the account goes below this $100,000 threshold, the SSI benefits can be reinstated. 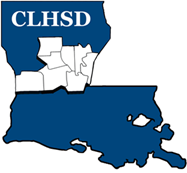 For more information on services for individuals with developmental disabilities contact CLHSD’s disability office at 318-484-2347 located at 429 Murry St. Suite B. in Alexandria, LA. 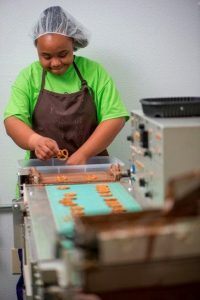 We provide the Single Point of Entry for people with developmental disabilities who are seeking supports or services (flexible family funds, individual and family support, support coordination, supported living, school transition services, residential, early steps, waivers, and/or community support team) through the Louisiana Department of Health. We provide several waiver options as well as personal care services (pcs), extended care, companion care, dental and medical services, equipment and supplies, communication services, crisis intervention, specialized nutrition, and individualized family services.